As an experienced dental hygienist, I’m often asked by my patients “are interdental brushes as good as floss?” My answer is always that they are even better! This is because several studies have now proven that using interdental brushes to clean between the teeth is actually more effective than flossing at removing plaque and food residue. In this post, I’ll explain how to use interdental brushes and share a few of my expert tips on how to make using them easier. We’re all wonderfully unique and we all have different size gaps between our teeth. So, in order to find the perfectly sized interdental brush for your teeth, you need to try out a few sizes of brush first. One way you can do this without spending money on lots of different packs is to try Biteaway’s handy starter kit. It includes all the different brush sizes so you can see which one is the perfect fit for your teeth. EXPERT TIP: Make sure the fit isn’t too tight or too loose. It should be snug and able to move comfortably in a back and forwards motion. When you first start using interdental brushes, it’s best to stand in front of a mirror so you can see up close where to insert the brush. Just like you do when flossing. There’s a knack to using interdental brushes, but once you get the hang of it, it will become second nature. EXPERT TIP: Try and get some privacy when you first start practicing with the brushes. You don’t want to be self conscious while trying to learn this new way to clean between your teeth. Hold the brush by its handle and place the tip at the space between your teeth so you can find the right angle to insert it. With a gentle pressure, push the brush into the gap between your teeth, and then pull it back out. Repeat this action to clean all of the spaces between your teeth. EXPERT TIP: The great thing about these clever little interdental brushes is you can bend the brush head to get the perfect angle to insert the brush. So feel free to bend as required! Because the back teeth are a little harder to reach than the front, you may be tempted to not to clean them as thoroughly. Unfortunately, this is where the most food residue is, so not cleaning them properly can result in plaque buildup, bad breath and more serious oral health conditions like gum disease (gingivitis and periodontitis). So make sure you give your back teeth some extra special attention when brushing between them. EXPERT TIP: With the hand holding the brush, gently pull your cheek back. 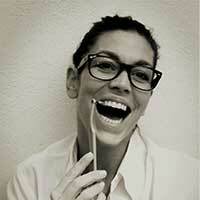 To get even more access to the back teeth, close your mouth a little bit to soften your cheek. Hold the interdental brush between your thumb and index finger, and make sure to prop up with the middle finger to support your in and out movement. This will make brushing easier. It does take practice to get comfortable with using interdental brushes (as with anything new), sometimes it’s annoying when they bend and you need to use a new one. But belive me, it’s going to get better with practice! Plus, they bend so quickly is so you don’t hurt yourself! If you’re persistent in taking just 5 minutes every day, it will soon become part of your regular cleaning routine and you will see really positive results. EXPERT TIP: Why not set a little reminder on your phone so you remember to use the brushes? Add a little encouraging message to the alert to motivate you to do it. If you use an interdental brush to clean in between your teeth once a day in the evening (along with using a tongue scraper and mouthwash), you’ll soon have a healthy mouth, fresh breath and a beautiful smile. 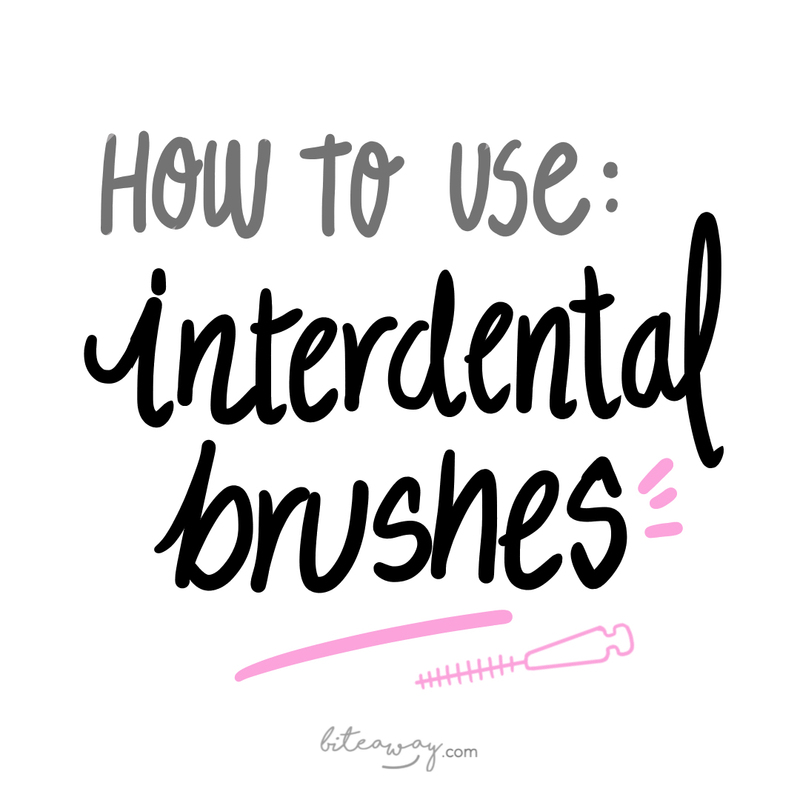 Got more questions about how to use interdental brushes?